A lot of people deep clean their houses in the spring. It can be satisfying to wipe the grime off the backsplash in your kitchen or get the cobwebs out of those hard-to-reach corners in the office. But have you ever thought about spring cleaning your gut? You can, with fiber! That’s because fiber moves through your system undigested, adding bulk to waste and helping it move along more comfortably. 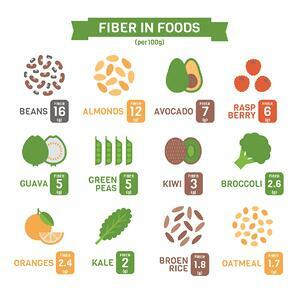 * But fiber’s benefits go beyond healthy elimination. But there was a catch: Once the volunteers went back to their old ways, their levels of both kinds of bacteria returned to previous levels. That underlines just how important consistency is when it comes to consuming enough fiber. Are you getting enough? [i] Yang J. World J Gastroenterol. 2012 Dec 28;18(48):7388-83.